So Sen. Harry Reid, who knows a shiv from a butter knife, sez that someone high up at Bain Capital told him that Mitt Romney paid zero taxes for ten years. Trying to parry that thrust, Romney pours into a friendly ear (Sean Hannity) the following: "Well, it’s time for Harry to put up or shut up." In fencing terms, Mitt Romney, faced with an opponent with a sharp point, turns to face the curtains and punctures his own trial balloon. 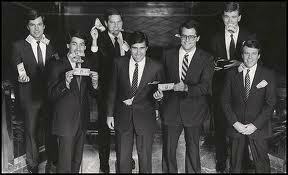 Oh, Mitt, you really are proving yourself the rich twit you've always seemed. We love the smell of frying baloney in the morning.